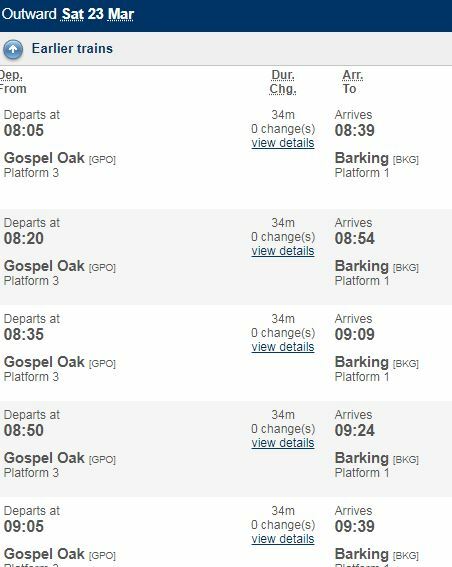 I went to have a look this morning to see how many passengers were braving the cold and limited service on the Gospel Oak to Barking Line. The pictures show, that there weren’t too many punters about. I used the train all the way from Gospel Oak to Barking and by the time it reached the destination, there was perhaps a dozen empty seats. Incidentally, there were few long faces and no-one seemed to be complaining about the lack of trains. It will probably be different in tomorrow’s Peak. Is this good news, that I have clipped from the on-line timetable?